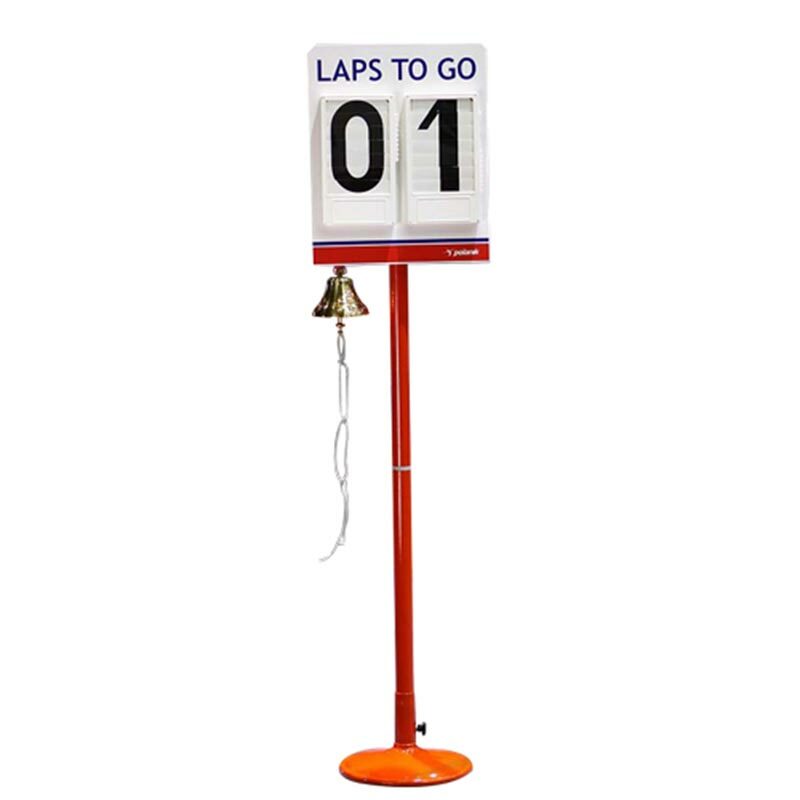 Polanik ® Lap Counter With Bell has a two digits in a clear arrangement of digital plastic units. Foamed PVC board screwed to steel frame. Two-segment post with synthetic connector. Rotation 360°, blocked in desired position with adjusting screw. Stable round base yet light enough to be moved.